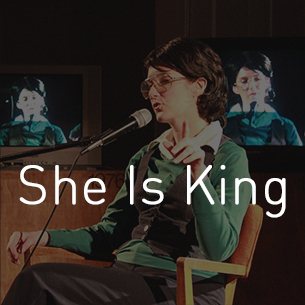 Boom Arts will present She Is King to Portland, Oregon May 28-June 7th, 2015, curated and produced by Ruth Wikler-Luker. More info here. Watch Billie Jean King’s Special Video Message for Portland!